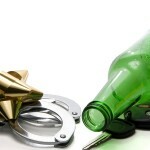 The holiday season always means heightened DUI enforcement in California. DWI “task forces” will be out to make every possible DUI arrest. 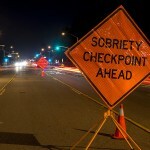 If you’re charged with DWI in southern California, don’t expect the courts to be generous. Contact an experienced Orange County DUI defense attorney immediately and get the legal help you’re very much going to need. “Simply” drinking and driving is not illegal. What is illegal is driving with a blood alcohol content (BAC) level above 0.08 percent or driving “under the influence,” that is, not driving with the same care and caution that a sober person can drive with. 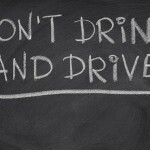 Don’t think that if you have only one drink per hour, you can drive legally. In fact, after anything more than a 12-ounce beer or 6-ounce glass of wine, you probably shouldn’t drive until the next day. If you’re under a hundred pounds, even one beer or one glass of wine can push you over the limit. Of course, the best strategy is not to drink at all if you anticipate driving, or if you do drink, designate a driver, use a car service, or call a taxi. If you are charged with DWI in spite of your precautions, you must speak to an experienced DUI defense attorney as quickly as possible. 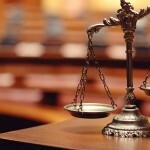 Your attorney may be able to dispute the police officer’s testimony or discredit any DWI tests you took when you were arrested. A DUI charge does not automatically mean a DWI conviction, but it does mean that you’ll need a good DWI lawyer. An experienced DUI attorney will safeguard your rights, examine the details of your case, explain your options, and fight aggressively for justice on your behalf. If you’re facing any DWI -related charge in southern California, through the holidays or in the new year, speak to an experienced Orange County DUI defense attorney immediately.